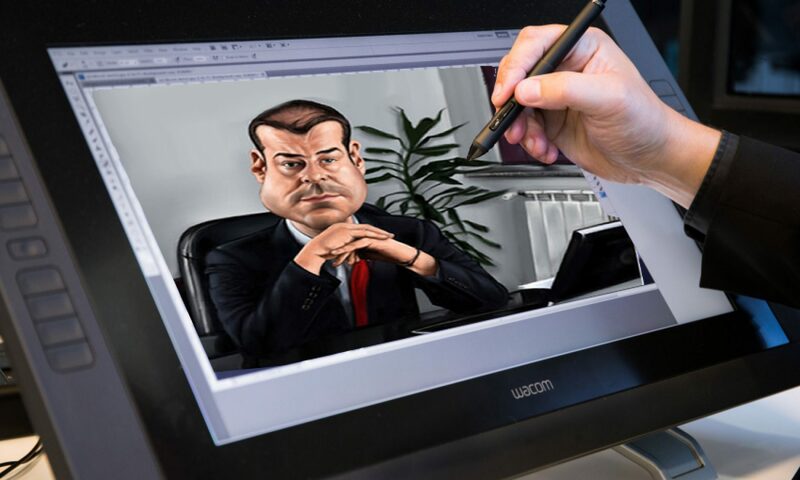 Simply select the option you wish from the drop down menu below for an AMAZING caricature gift based on your photo/s and instructions. Pets: each pet is a person. If pets are part of a scene, the artist does less detail and they are included in the scene price… they are recognizable only. Photos: Must be clear with good lighting. Thumbnail images off websites etc are generally no good. The caricature artist needs to be able to draw as if you are sitting close, not 50 feet away! We work from the first suitable set of photos you provide, so make the effort to source the best you can. If the first sent are really bad we will ask for replacements. Descriptions: Please be detailed in what you want. This includes hair color and eye color – what the artist sees in the photo might not be how it is. If specific clothing is desired, describe it or if a specific item, Google an image and send that as well.